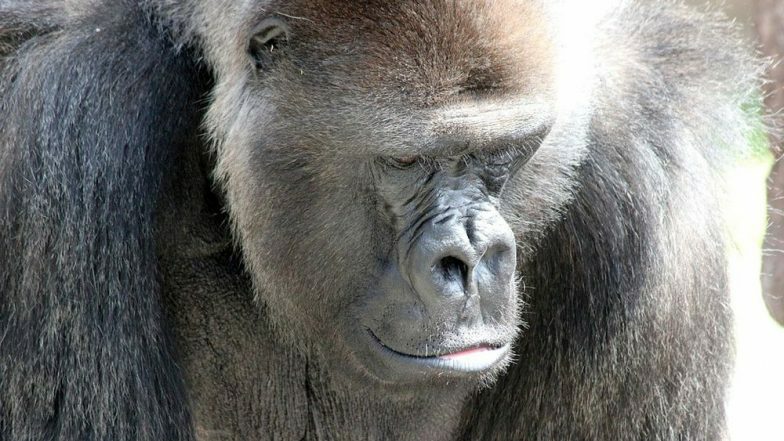 Many a time Gorillas have been found to have human-like qualities, intelligence and emotions. Various research has shown how gorillas are quite similar to humans according to their actions. In one of the recent study, Researchers filmed the behaviour of mountain gorillas around two corpses and the footage shows how the animals have humans like funerals and grieve for the dead. The footage shot in the Volcanoes National Park in the north of Rwanda, showed how the animals sat close to the body of their deceased, comrade and stared at them as if in grief. They were also seen sniffing, poking, grooming and licking the deceased. This action is being studied by experts who fear that licking of corpses may be the trigger factor behind diseases such as Ebola, as per Daily Mail online. The footage from Volcanoes National Park, Rwanda shows a young mountain gorilla touching and gently "grooming" the body of his mother which seems like the animal is grieving the death of its mother. Researchers are studying the impact of their grieving actions on the spread of Ebola. A team of experts from the Dian Fossey Gorilla Fund, the University of California Davis, Uppsala University and the Congolese Institute for the Conservation of Nature have published their findings in PeerJ - the Journal of Life and Environmental Sciences. Dian Fossey Fund scientist Dr Amy Porter said: 'Our observations were surprising because not only did almost all individuals in the Grauer's gorilla group engage with the corpse of the silverback, their behavioural responses were strikingly similar to those of the mountain gorillas around the corpses of established group members. Most notably, individuals in all three cases typically sat close to the corpse and stared at it. They also touched, licked, sniffed, and groomed the corpse. The behaviours may partially be explained by a general curiosity with death. Aggression toward corpses has been suggested to reflect an attempt to rouse the dead individual as the initial sensory information from the corpse may not always be sufficient for animals to register a permanent and irreversible change," as per D.M.